Babies and burritos—they’re both precious. Now you can combine these two bundles of joy by wrapping your little one up to look like your favorite 1 a.m. snack. 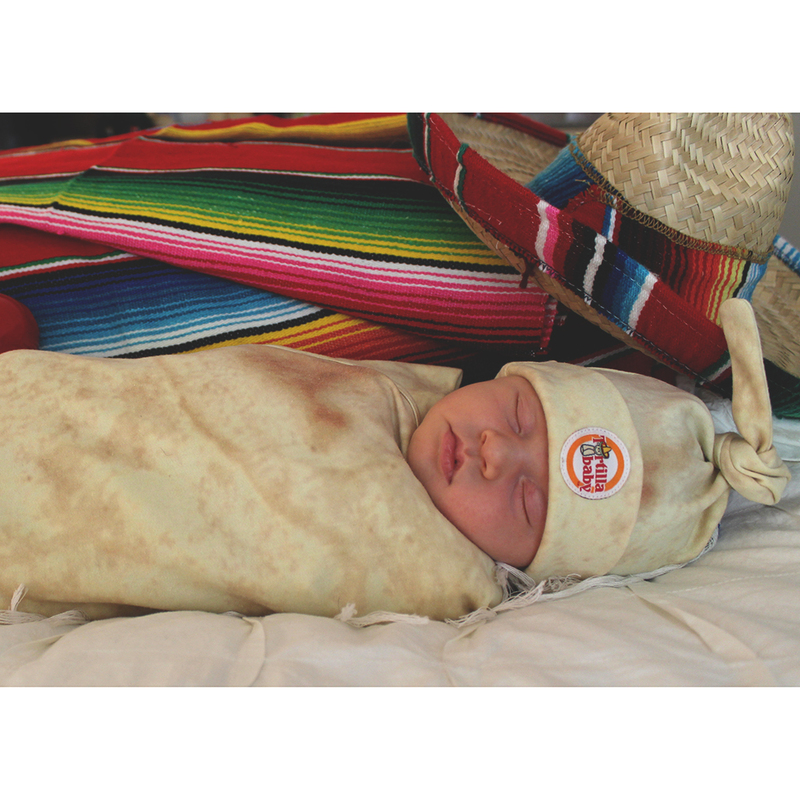 Each swaddle also comes with a matching hat: Sweet & Sour Sauce Hat, Rice & Roe Hat and Knot Hat. They’re the perfect gift for any foodie friend with a newborn. Well, actually, the perfect gift would probably be offering to babysit. But, yeah, a tortilla blanket it is.